The Book of Lies (full title: Which is also Falsely Called BREAKS. The Wanderings or Falsifications of the One Thought of Frater Perdurabo, which Thought is itself Untrue. 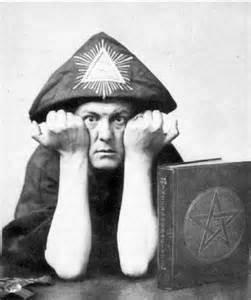 Liber CCCXXXIII ) was written by English occultist Aleister Crowley (using the pen name of Frater Perdurabo) and first published in 1912 or 1913. The book consists of 93 chapters, each of which consists of one page of text. The chapters include a question mark, poems, rituals, instructions, and obscure allusions and cryptograms. The subject of each chapter is generally determined by its number and its corresponding qabalistic meaning. Around 1921, Crowley wrote a short commentary about each chapter, assisting the reader in the qabalistic interpretation. Several chapters and a photograph in the book reference Leila Waddell, who Crowley called Laylah, and who, as Crowley’s influential Scarlet Woman, acted as his muse during the writing process of this volume. 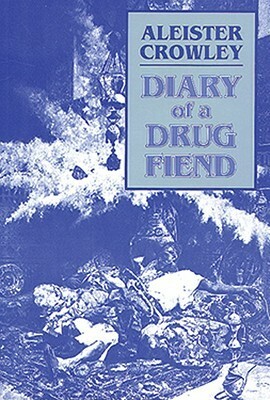 Diary of a Drug Fiend was Aleister Crowley’s first published novel. To the reader of 1922 it presented a shocking look at a little known phenomenon. Today, while we are more familiar with drugs because of their widespread use in our culture, Diary of a Drug Fiend remains one o fthe most intense, detailed and accurate accounts of drug addiction and the drug experience. 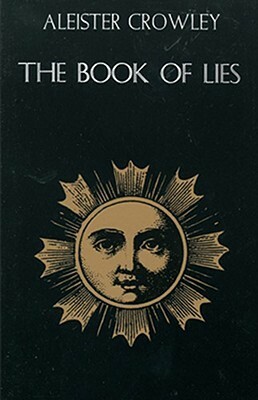 The book was written by Crowley after years of deep personal study and experimentation with drugs. It is the story of a young man and woman who fall madly in love and whirl through Europe in a frenzied haze of heroin/cocaine adventure. Their ecstacy is brought to an abrupt end when their drug supply is cut off and despair replaces joy. Through the guidance of King Lamus, a master Adept, they free themselves from the entanglements of addition by the application of practical Magick. The narrative carries the reader aloft through the brilliance of the imagery created by this master of language; his prose development parallels the growth and increasing depth of his characters in an uncanny fashion. This is a book to be read and reread. It will also prove a useful document to doctors, lawyers, police and addicts for its unique and precise presentation of the psychology of addiction and the possibility of its cure through the development of the True Will. I’m a poet, and I like my lies the way my mother used to make them. Having to talk destroys the symphony of silence.